We're always keen to talk to other people and organisations who are engaged in community building and individual empowerment for those who are disadvantaged. 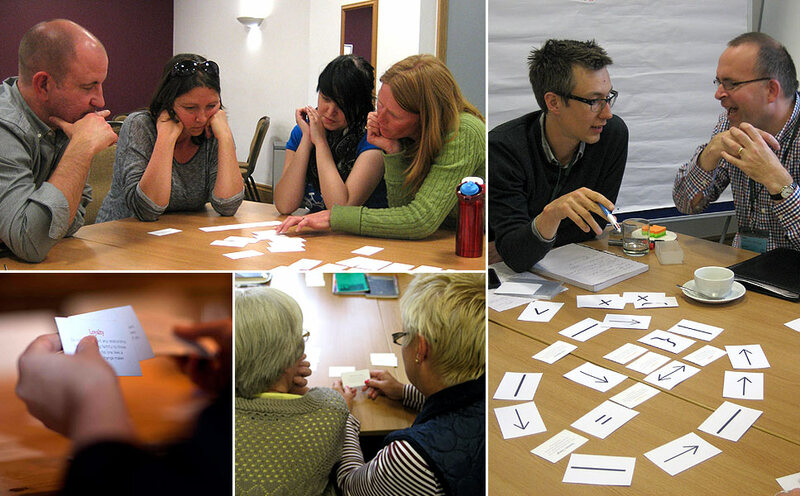 Here we'll capture some of the key things that we learn in these conversations. As well as hearing lots of inspiring stories from our partner projects, we've learnt a lot about the challenges facing small and medium-sized charities. 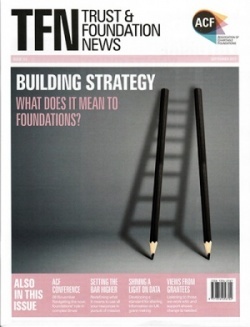 We're taking that learning into our wider conversations within the charity sector, and recently shared our thoughts on core funding and the impact of funders, through "Trust & Foundation News", the magazine of the Association of Charitable Foundations. You can read the article here. 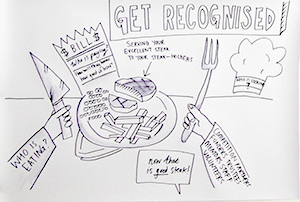 As you'll see below, we've been involved in lots of conversations about measuring social impact. The most important reason for doing this is so that organisations can see whether they are actually making the difference that they want to make for their beneficiaries, and whether there is anything that they could change to improve that. 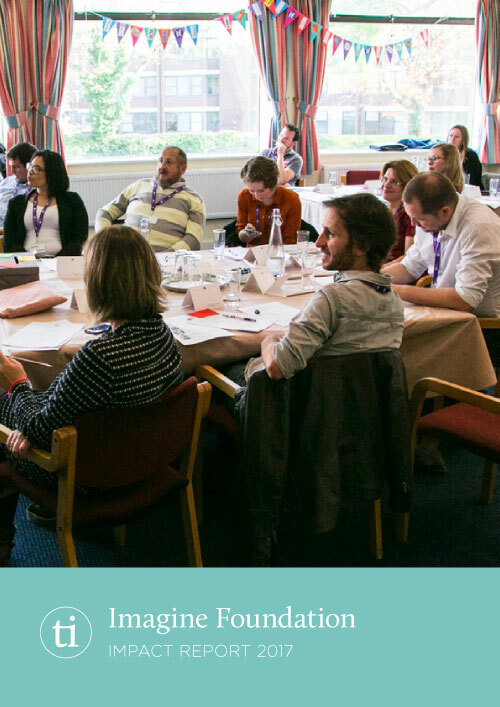 At Imagine Foundation we support small charities and community groups with funding, but we also want to empower the project leaders and invest in them by sharing learning and good practice across the organisations. We want our project partners to have the best impact that they can on their beneficiaries, so we need to ask what our impact is on our partners – through our decisions and interactions. Recently we asked the Transformational Index team to carry out an Impact Analysis on IF. You can read the full report here. We were encouraged by the report and are now working on some key areas – finding ways to advocate on behalf of small charities, and building an online forum for sharing learning across our project partners. You may notice that a lot of our conversations are about ways to measure the social impact that we and our partner projects have. That's because there is a big conversation about this in the charitable sector right now. A number of groups are working in partnership to develop this conversation and to share learning and offer advice and help for organisations of all sizes to engage with. They are working together as Inspiring Impact, and Imagine Foundation has joined them as an Impact Champion. The Inspiring Impact website has publications to help you develop your impact measurement, the Impact Hub, a directory of resources and tools, and Measuring Up! a self-assessment tool to help you get started or move further forward. Telling the story of our impact is really exciting - after all, it is about the real difference that we are making. It's great that so much help is available to help us get better at measuring what that difference is and enabling us to put our resources where they are most needed to help others. The primary, and most important benefit of measuring your impact is that it helps you get better at making a difference, by seeing clearly what works well and what doesn’t. How confident are you that you are going in the right direction in terms of achieving the impact that you want? What is the risk that you might be off course? Do you know enough about your impact and what you need to measure to prevent the tendency & challenge of mission drift? 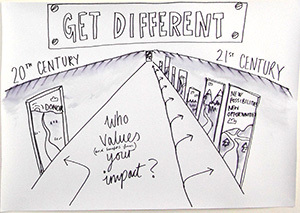 Can you identify what aspect of your impact you need to know more about and why? Make a list of your stakeholders and imagine you had a dial next to each one. If you could turn the dial up on the one group of stakeholders that would have the biggest impact on your project which would it be? What could you do turn the dial up? Over recent years there has been a massive shift in the structuring and resourcing of social purpose organisations, with many more options and crossovers between business, charity and government provision. As a result, the way charities are funded is changing and will change. There is a need to diversify where your resources are coming from and think outside the box – because the box is changing! Who values your impact? Are there businesses or organisations that benefit from the difference you make within your community? Are there ways that you can build a partnership with those that benefit from your impact or value what you do? (Thanks to Lindsay Noble for illustrating our conversations). Some outcomes are much easier to measure than others. It's easy to count a number of participants, but much harder to quantify the changes in self-confidence or motivation that the participants experience. Early on in our development we used The Transformational Index, a tool created by Matryoshka Haus to identify and measure social change in a qualitative way. This helped us to focus on the key elements of the impact that we wanted to foster through our partnerships and to develop our own tools to measure that impact. We learnt a lot about our dreams and aspirations through this process, and now have a framework from which to identify projects that we want to support. Our thanks to `Shannon, Becca, Andy and Jim from MH who took us on a bit of an adventure with the TI tool. Be aware that most projects start slowly. Pace yourselves and give time for the project to develop. Don’t take on too much or expect instant results. Be patient. Do not be put off by setbacks. Be prepared for some things to go wrong. Ensure you have action plans and contingency plans in place. Focus on the positives and not the negatives. It’s ok to make mistakes - you can learn from them. Be flexible. And be brave enough to change things when you need to. Keep relationships at the heart of the project. The second we lose the fact that we are about dealing with people, listening to and working with them, that’s the second we start veering off course. Also don't be disheartened if it seems to be slow progress as more is going on than you might think when you are consistently there for people. Keep making time to listen, to drink tea with people, to sit and be still sometimes. Keep holding that space where new possibilities can take place, where new people can walk through the door with an idea.